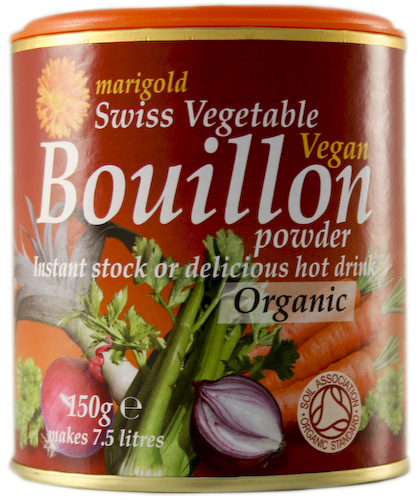 150 grams organic, vegan friendly Marigold Bouillon Powder; makes 7.5 litres. A natural enhancer of all soups, stews, casseroles, sauces, sauvouries, rice and grains. Also makes a delicious hot drink, instantly soluble in hot liquid. Sea salt, Yeast extract, *Rice flour, Vegetables 8% (*onion, *carrots, *celery), *Palm oil, *Turmeric, *Parsley. *Organically grown ingredients processed per EC Directive 2092/91 which prohibits the use of GMOs in organic foods. The Marigold Organic Bouillon Powder 150g product ethics are indicated below. To learn more about these product ethics and to see related products, follow the links below. Excellent product. Good addition to soup. 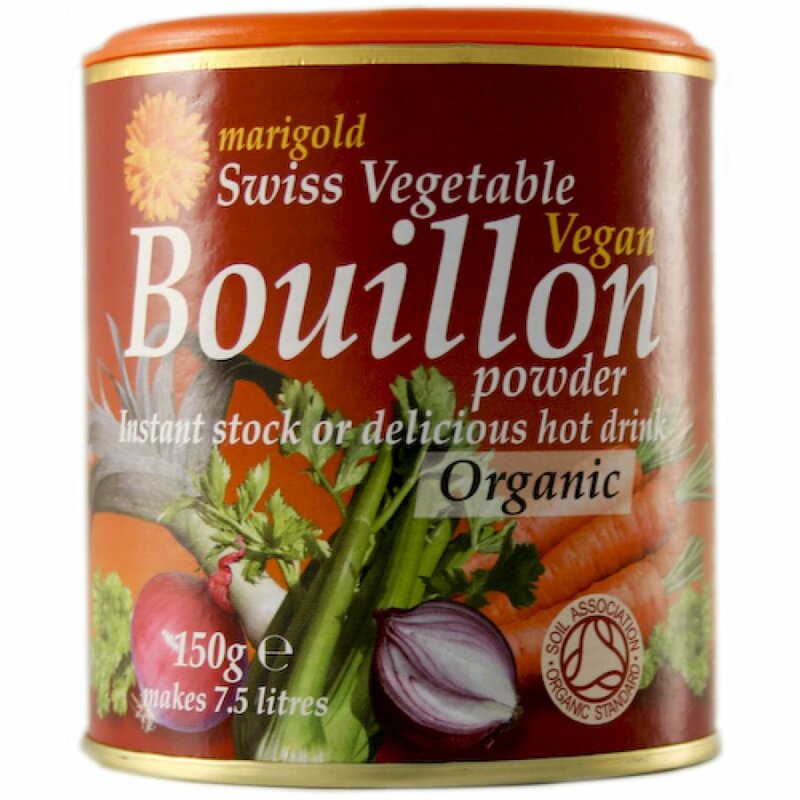 There are currently no questions to display about Marigold Organic Bouillon Powder 150g.